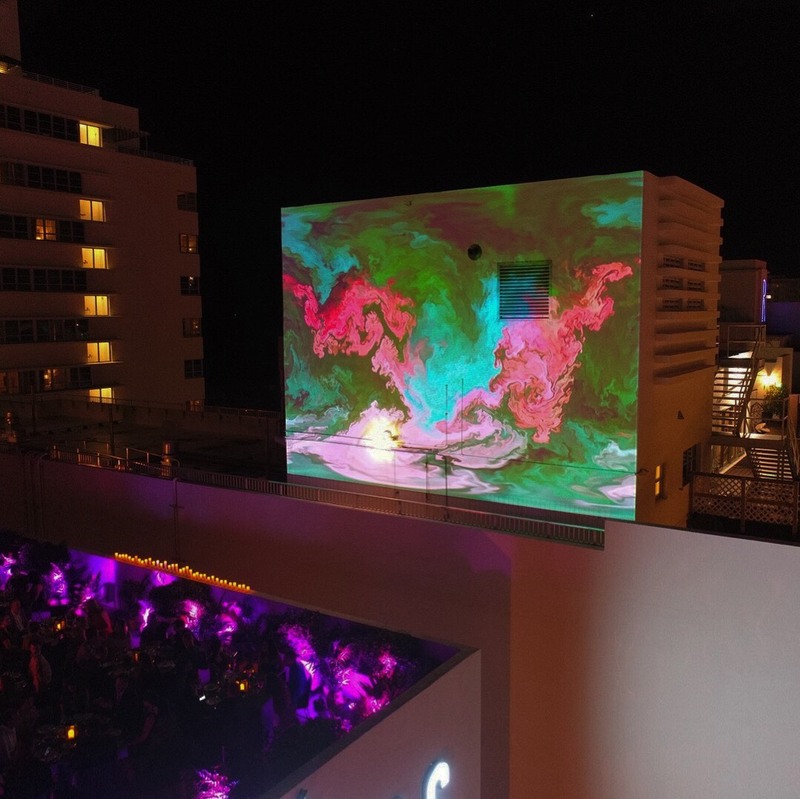 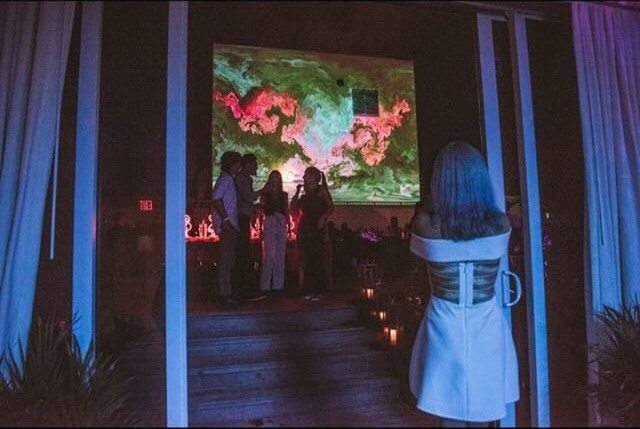 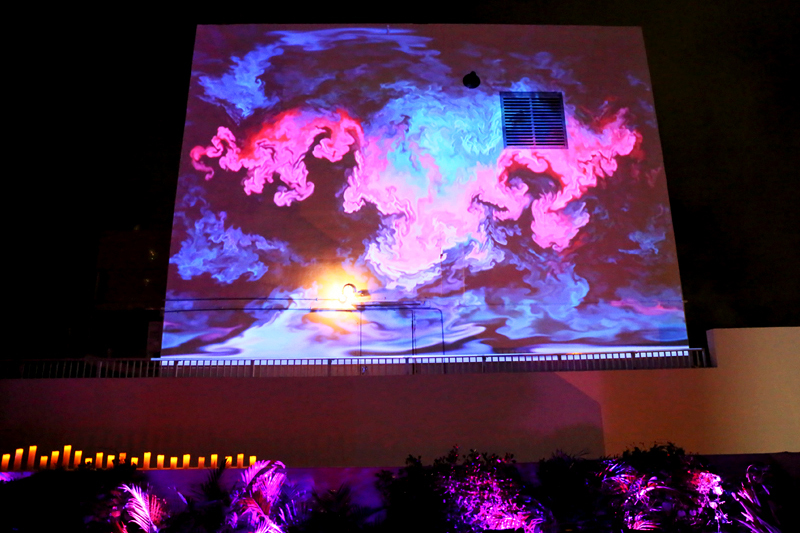 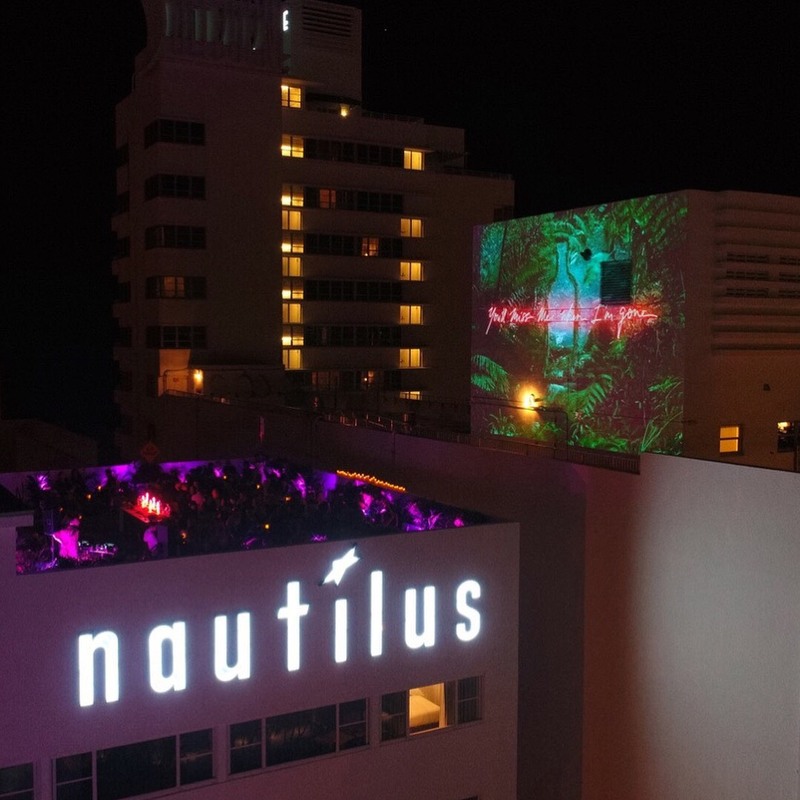 12.7.2017 Kevin Barry Fine Art hosted a private dinner and cocktail party at the Nautilus Penthouse during Art Basel to showcase a blend of art and technology. 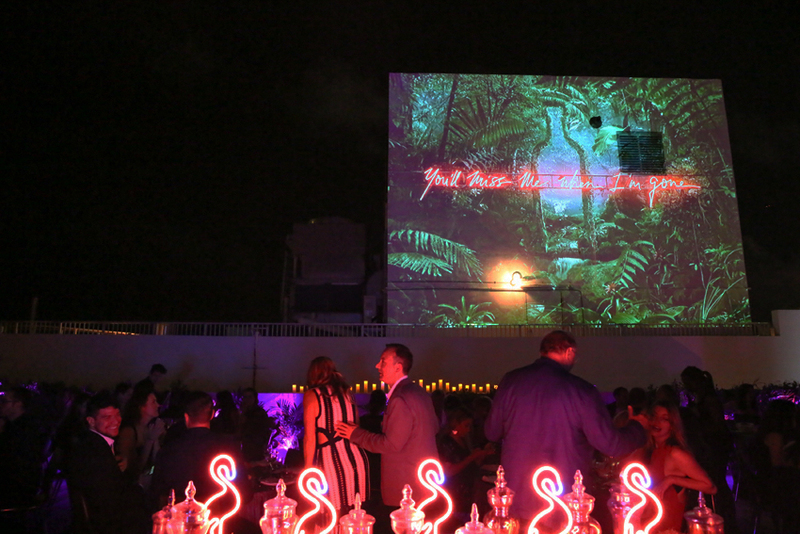 As a creative consultant for the event, I worked with Design Lab to cultivate a Miami look and feel through art, flora, and decoration. 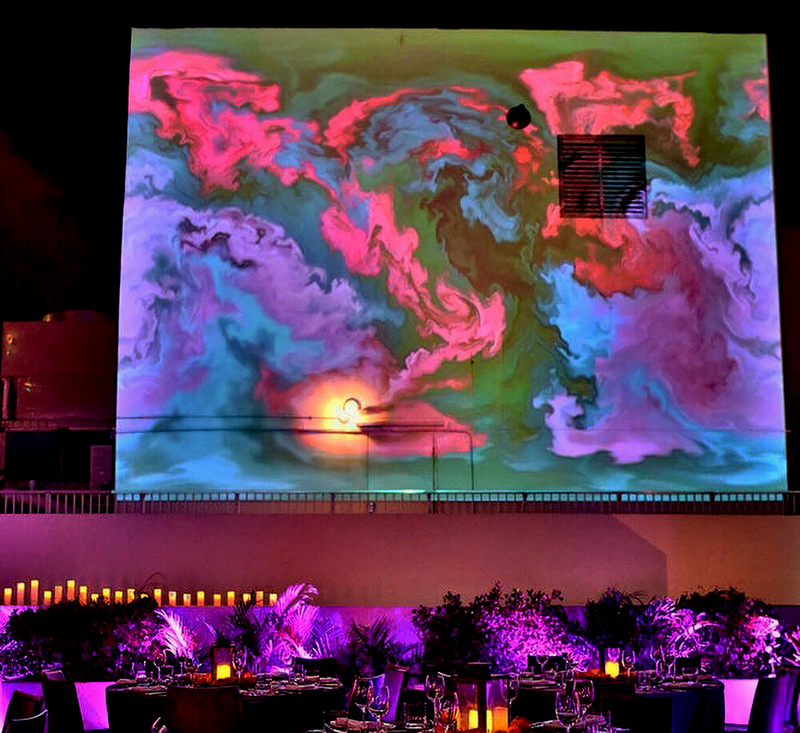 In addition to helping create the rooftop and penthouse ambiance, I created a large projection on the neighboring building to serve as a backdrop to the dinner (see the slideshow below). 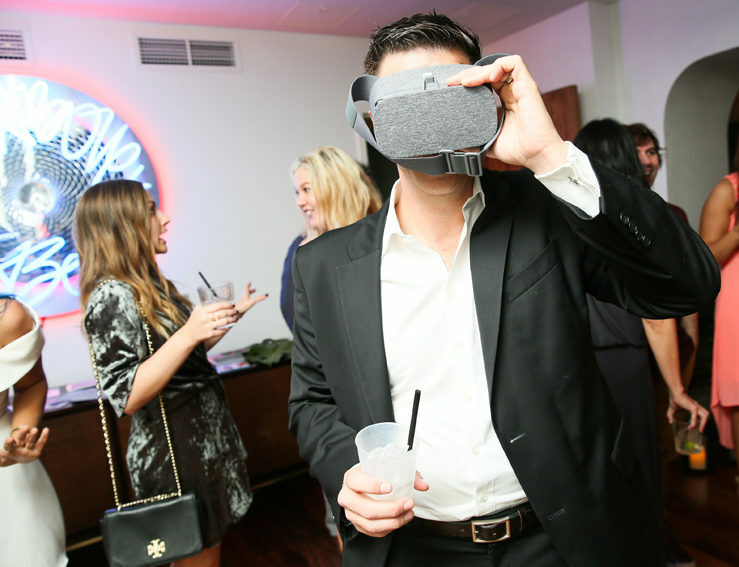 Then, as entertainment during the cocktail party, I supplied a virtual reality art piece (see the first variation here).